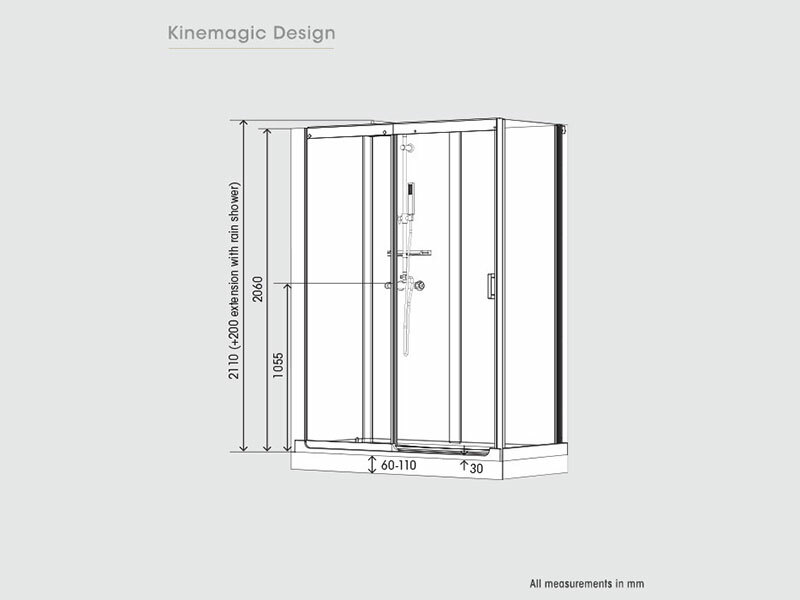 A combination of an attractive anodised finish and sleek glass panels means that KineMagic Design shower cubicles are in a class of their own. Manufacturer’s RRP from €3,407 to €3,797 – so buy here for BIG savings! 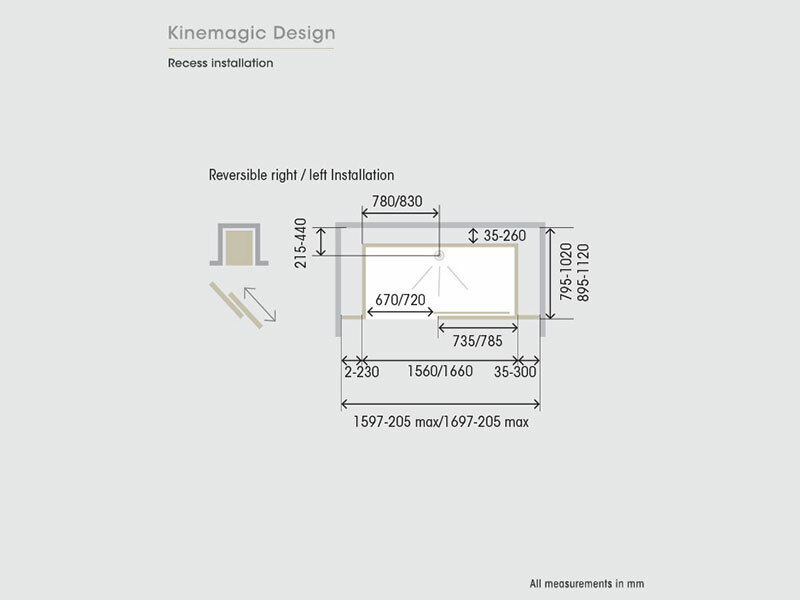 KineMagic Design shower cubicles are in a class of their own, thanks to an attractive combination of an anodised finish and sleek glass panels. 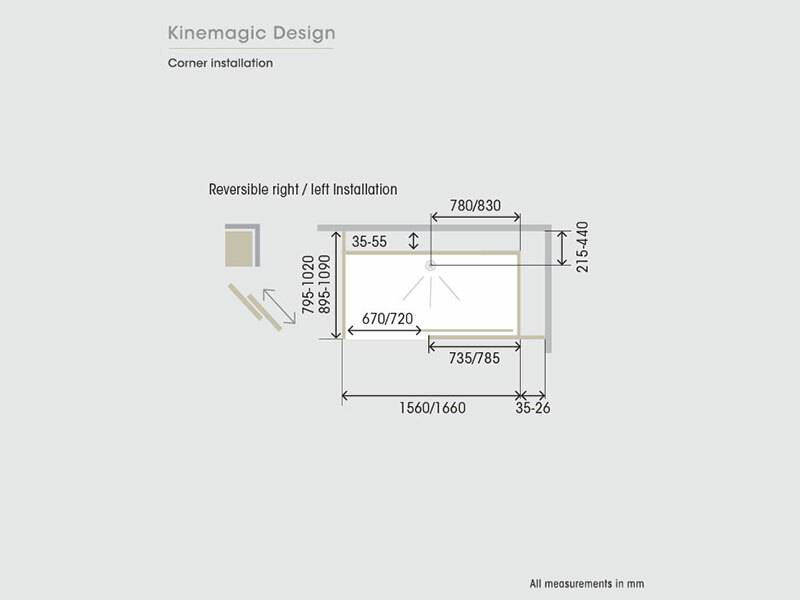 Even better – the Kinemagic Design is as practical as it is stylish. This is thanks to a low height shower tray and a cool-touch thermostatic valve to deliver extra showering safety. The design means you can fit the unit in just one day, with no fuss or mess, and no re-tiling necessary afterwards. The KineMagic Design can totally transform any bathroom, as the self-contained unit has been designed to fit into the same space as any standard bath. This shower cubicle allows for both corner installation and recess installation, with both options coming in a choice of ten sizes ranging from 1200mm x 700mm up to a massive 1700mm x 900mm. 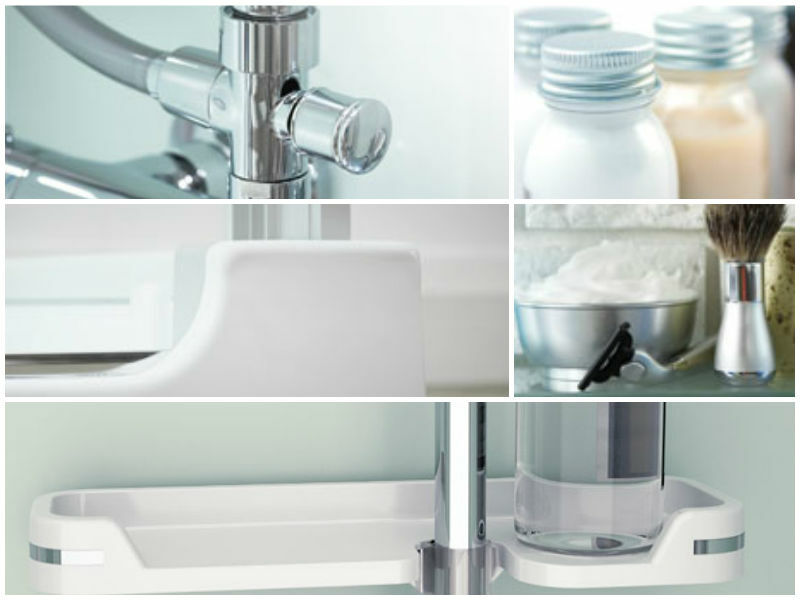 An accessories shelf is included as standard. Other features include a two-way shower diverter and a low-profile shower tray. Optional extras include a grab bar (complete with adhesive), and an electric shower adapter panel. 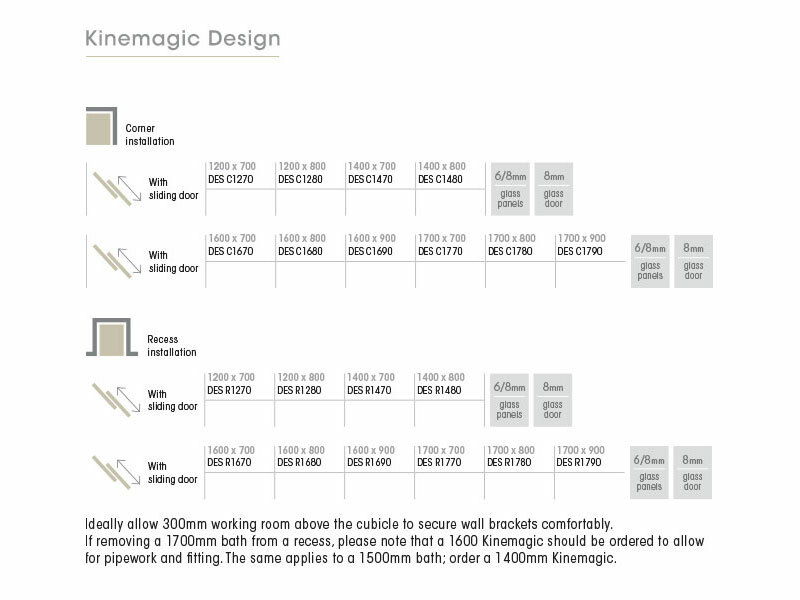 KineMagic Design shower cubicles, along with all of our Saniflo Systems and Kinedo Shower and Bath Solutions, can be bought online with the reassurance of dealing with Ireland’s official Saniflo and Kinedo agent. Just contact us if you need to learn more!